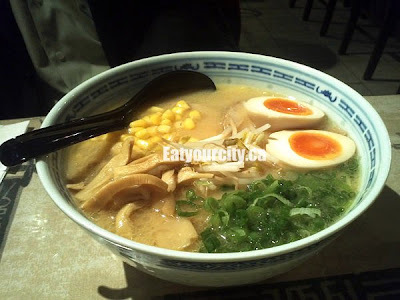 On a chilly night, me and my long time buddy swung by Muku to try out the ramen. There's something deeply comforting about a bowl of soft springy noodles in a hot flavorful broth. Maybe it's remenants from childhood memories, or just that hot, salty, fatty carbs totally hits the spot in the winter. Mmmm. We weren't craving the stuff that practically lives symbiotically in dorm rooms either. We were aiming for fresh noodles, long, slow simmered broth and tasty toppings! The small and slightly cramped interior space (small groups only!) was dimly lit and pretty busy on the weekend. Japanese watercolors on canvas hung at intervals throughout the restaurant alongside posters of Japanese models, and completed its theme with bamboo designed tablecoverings . 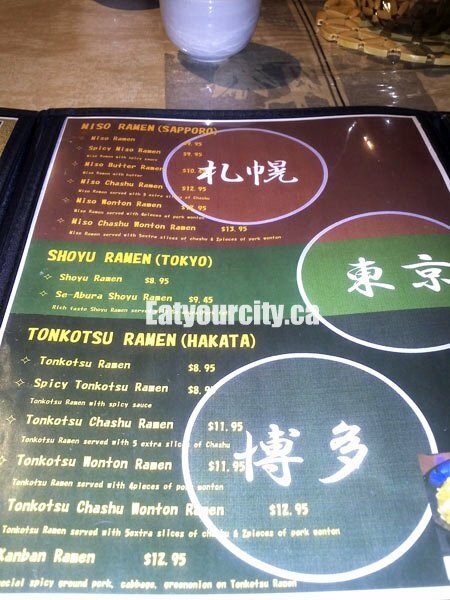 The menu had a decent selection of ramen, and we went with the tonkatsu ramen while my buddy went with the Koko-miso Ningja ramen, which he called his "Ninja soup". This ramen consisted of a a Japanese style pork bone broth of mild - mod richness. I like like my tonkatsu really rich, cause then its super flavorful. Fatty, but flavorful!!! The noodles were a chewy springy, while the soup was a bit on the salty side and the pork was flavorful. Toppings were a little sparse, with some green onions, two pieces of char siu, two pieces of babycorn, and a slice of a Japanese tripping two toned fishball. All other toppings cost extra. So if you want more corn, pickled eggs...etc, you fork up. The pickled egg was soft boiled, with the yolk a slighty gooey over easy consistency. Tasted pretty good: soft, rich with more salty tones than tanginess I expected from a pickled egg. My buddy enjoyed his Koko-miso Ningja ramen which along with the tonkatsu broth. It came with a handful of kernal corn, the soft boiled like pickled egg, a bunch of green onions, sliced mushrooms and bean sprouts. I didn't try it...it's weird for two guys to share noodles LOL! 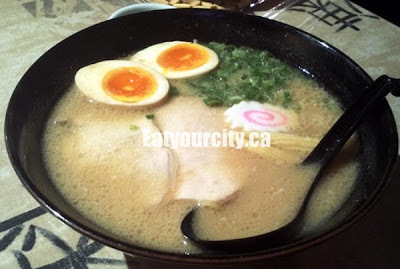 Overall, Muku's soupy ramen is probably the best I can get in Calgary in terms of tonkatsu ramen. 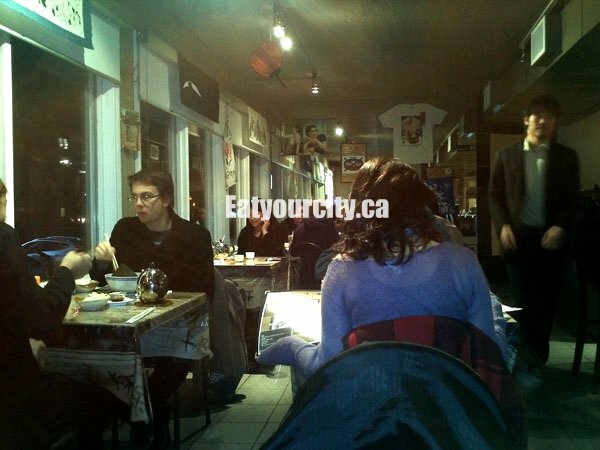 When is Vancouver's Kintaro's gonna head here?! Hours Lunch Tues-Sat 11:30-2:30 and Dinner Tues-Sat 5pm-9pm Sun 11:30-8pm, Closed Mon.